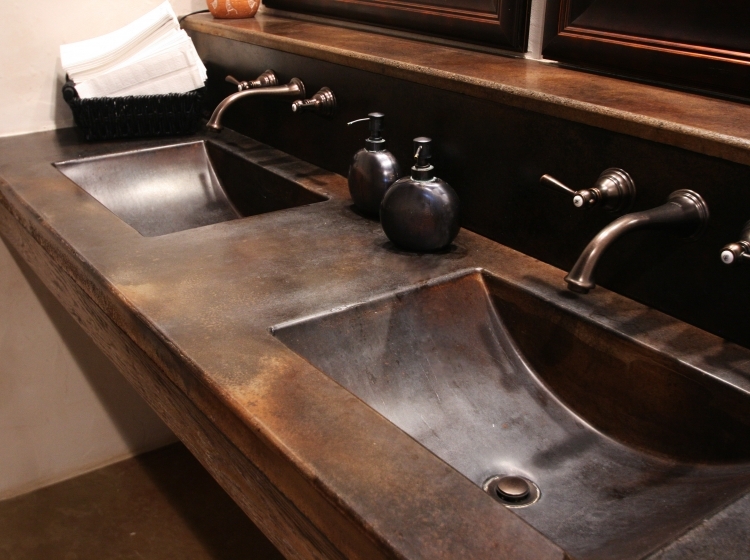 Riverbed Concrete's Hill Country Finish is a rustic finish, with honed surfaces and topically applied stain. 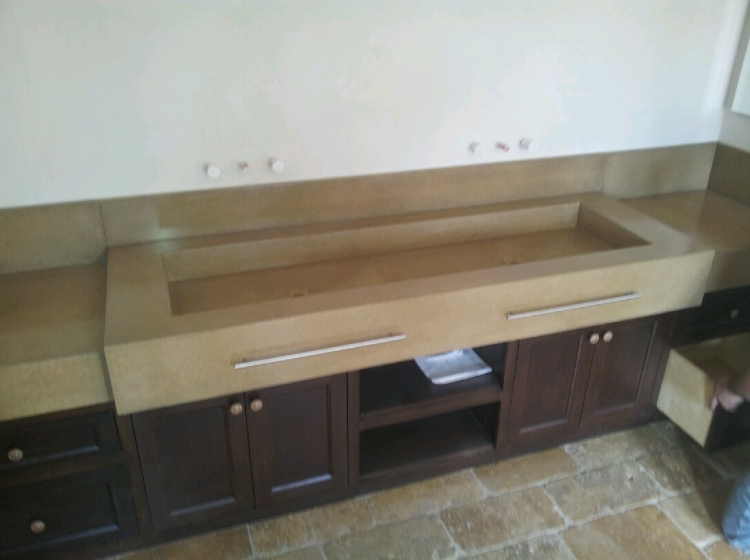 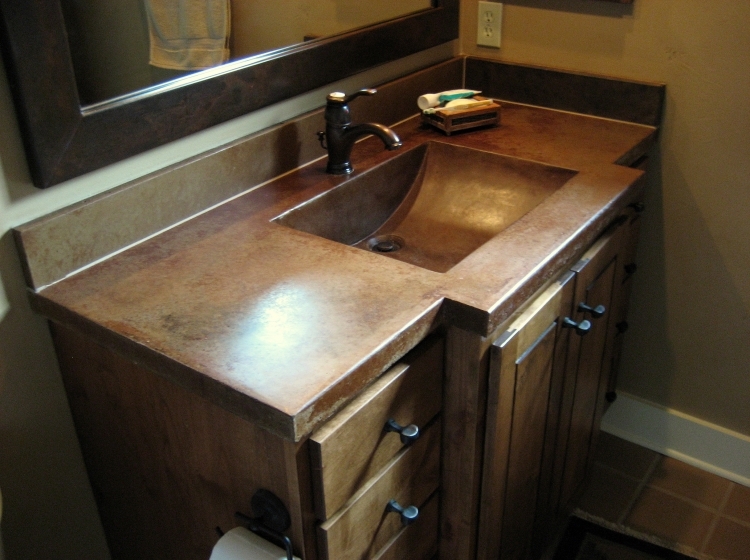 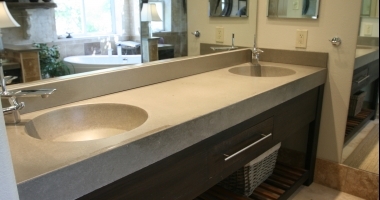 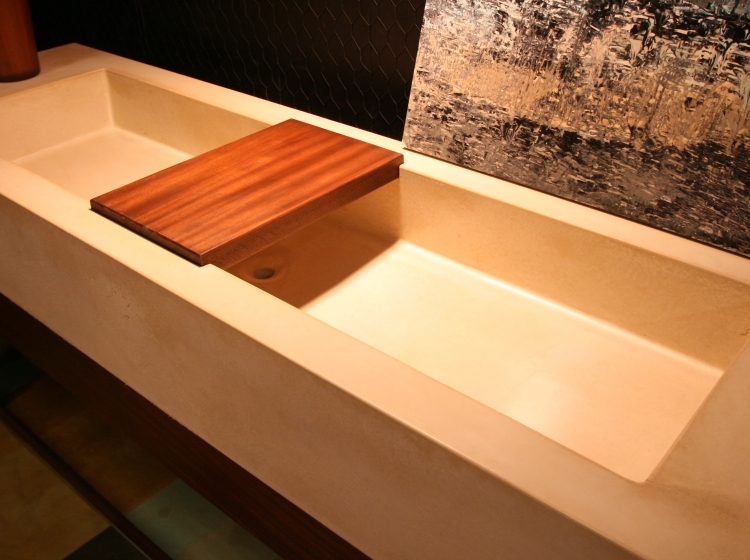 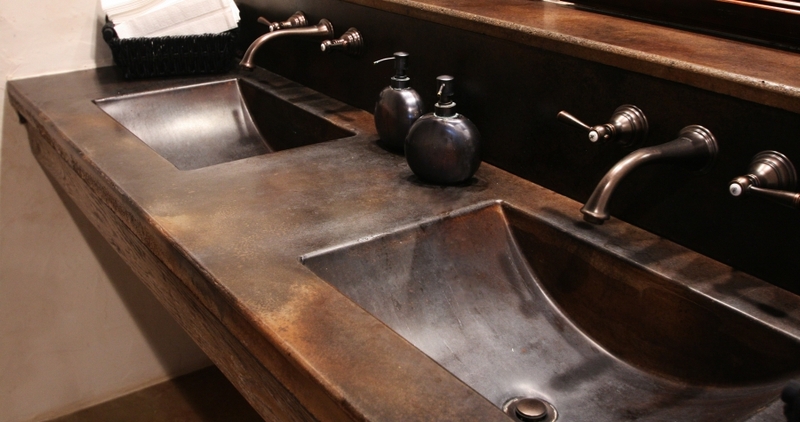 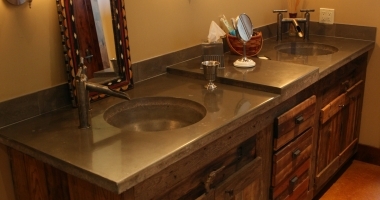 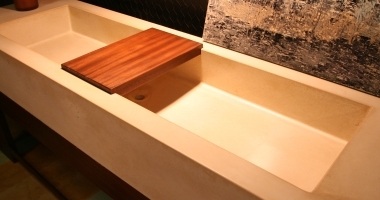 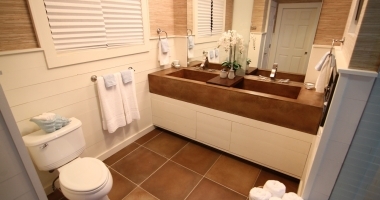 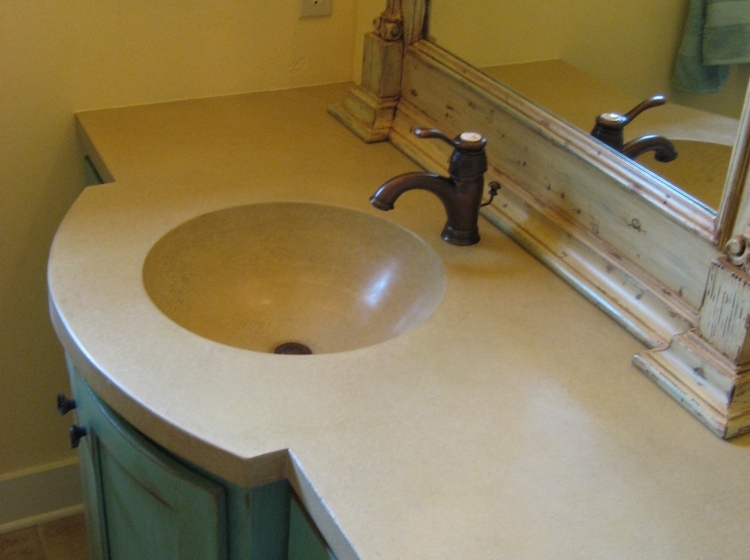 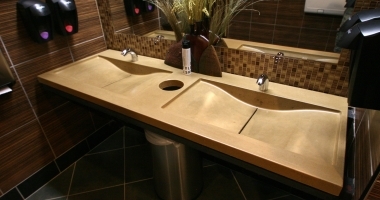 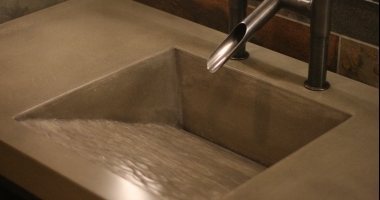 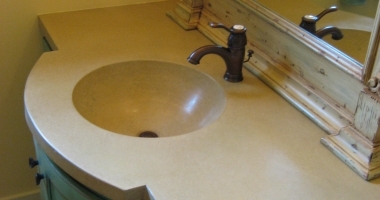 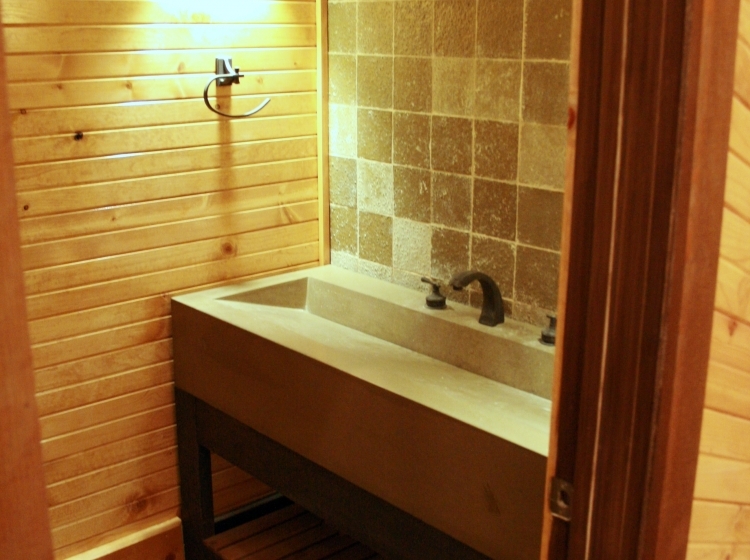 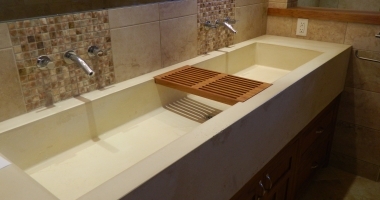 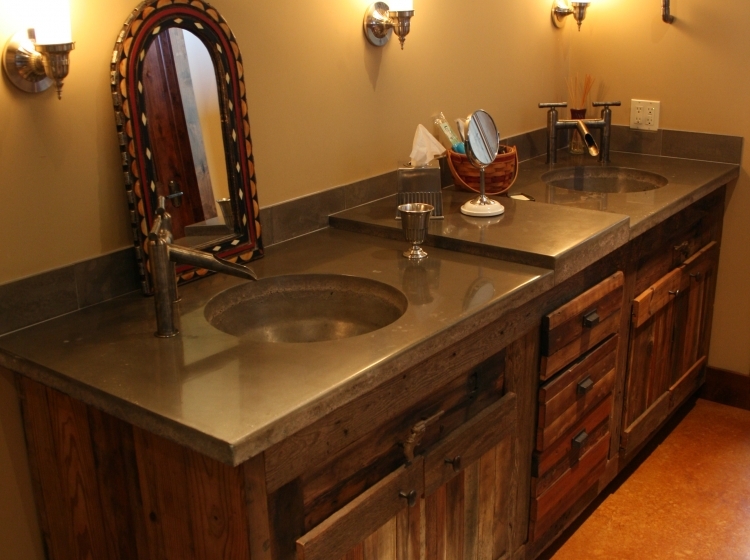 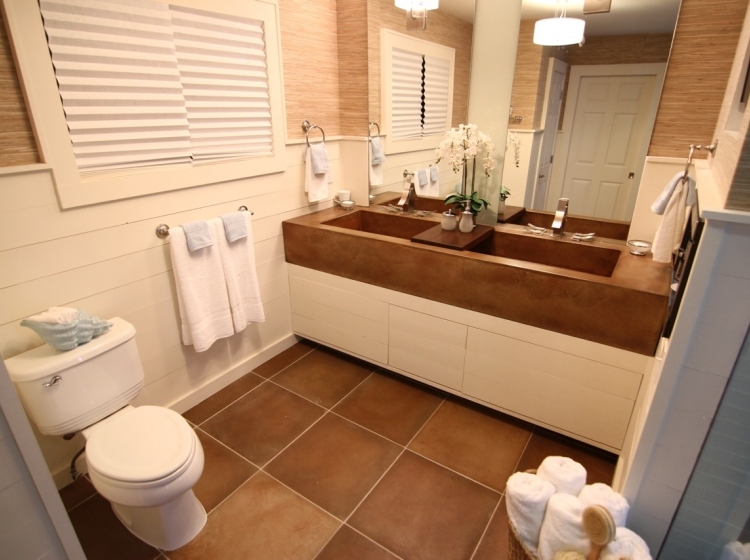 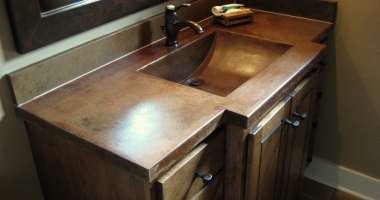 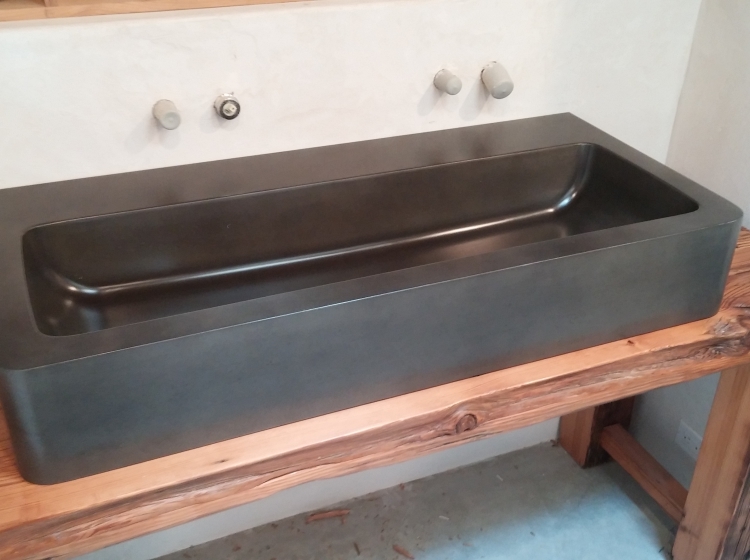 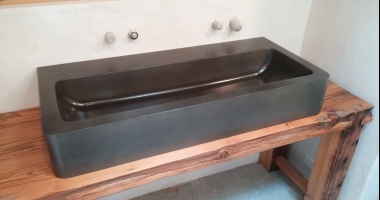 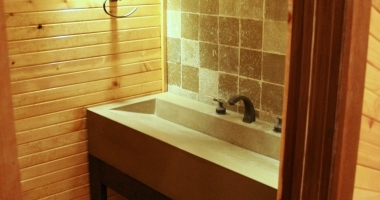 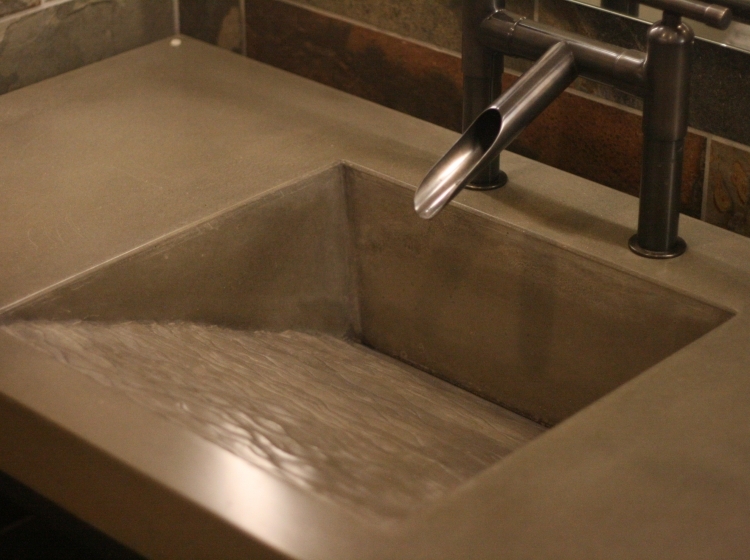 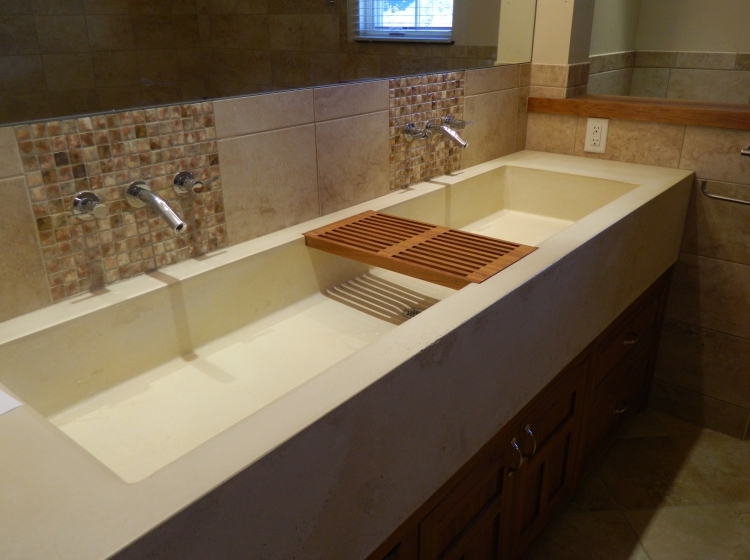 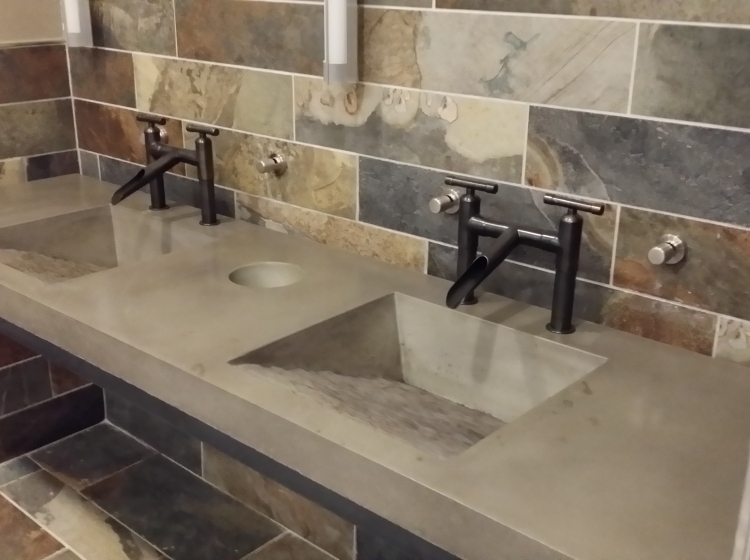 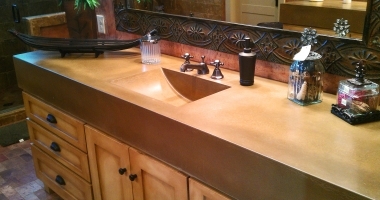 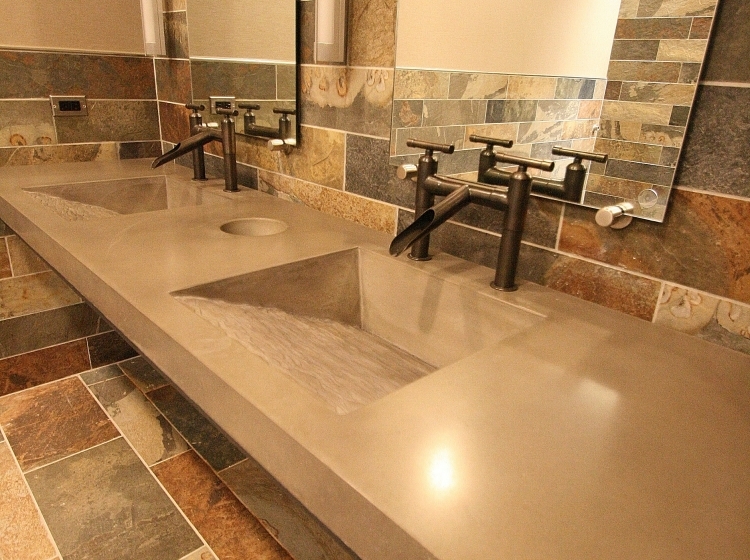 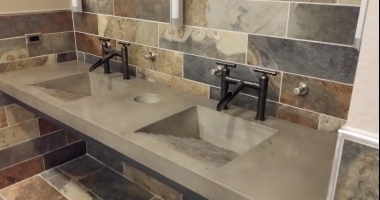 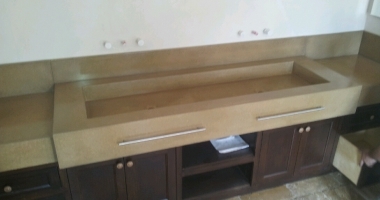 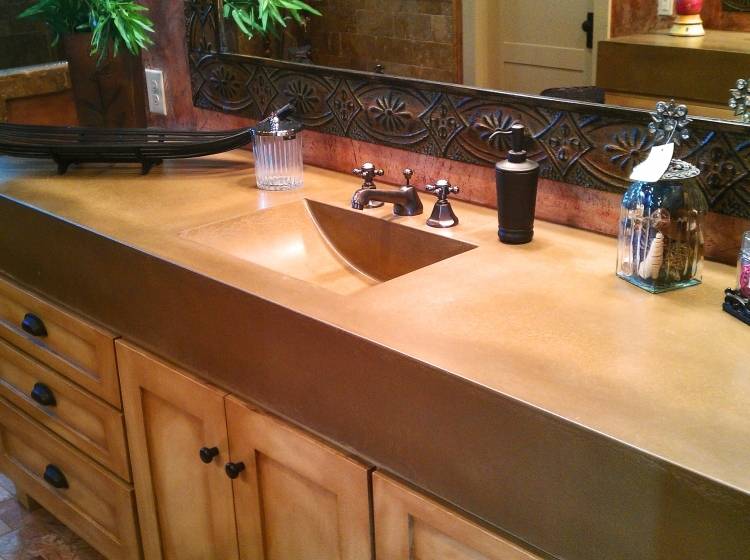 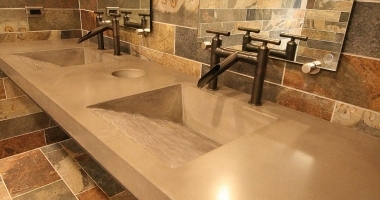 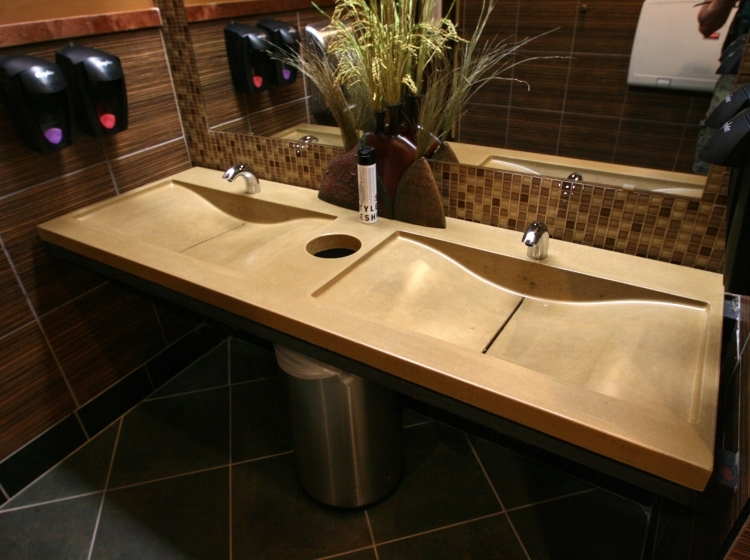 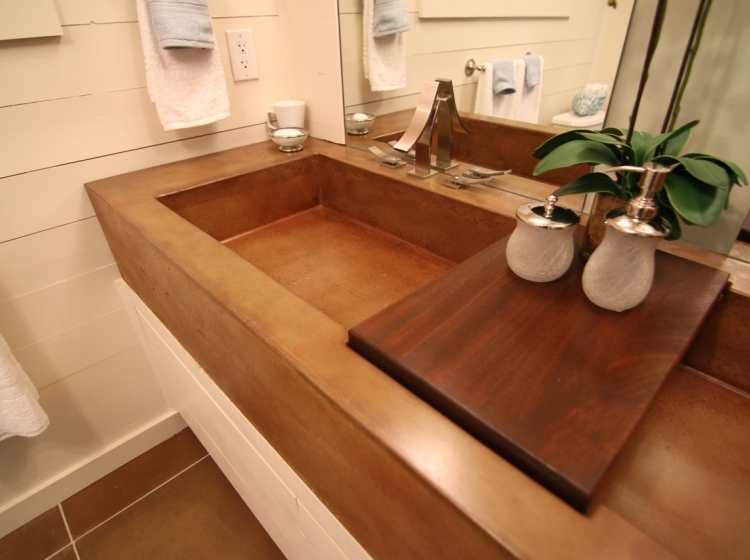 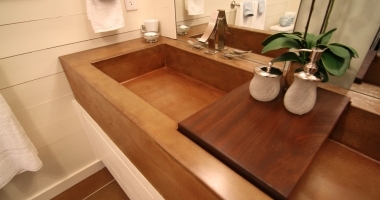 Riverbed Concrete's concrete countertops, concrete vanities, and concrete sinks add a unique design element to your newly designed residential or commercial restroom. 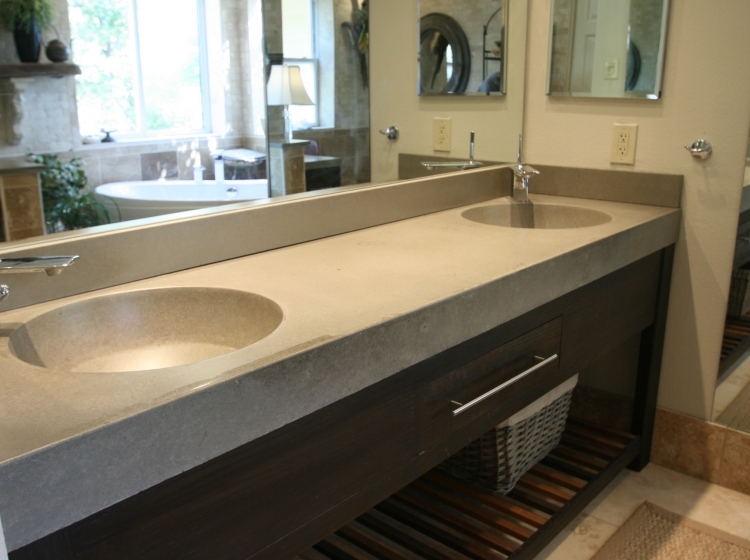 Choose from our extensive line of integral concrete sink options to truly customize your concrete vanity for your specific use. 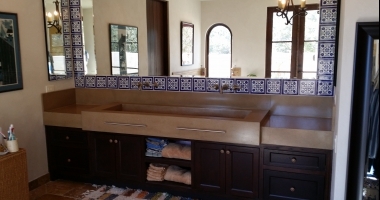 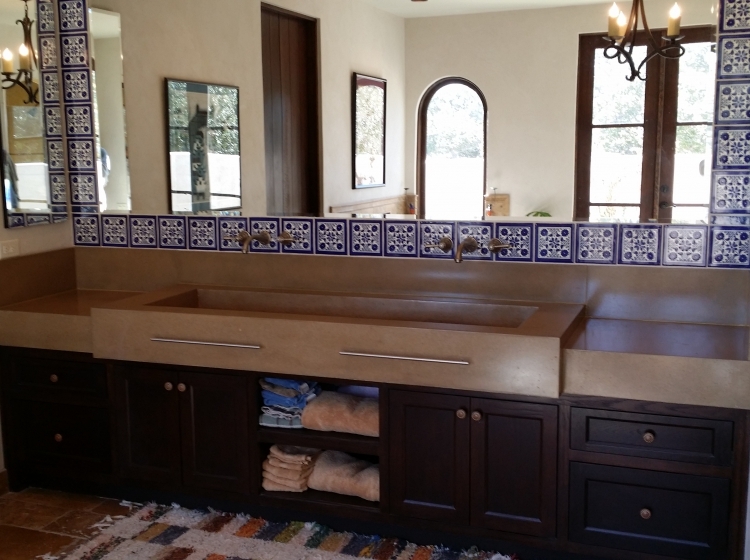 As seen on I Hate My Bath, Bath Crasher, House Crashers, and Extreme Makeover: Home Edition and in many area San Antonio, TX, Boerne, TX, Austin, TX, Hill Country, TX luxury home and residential projects.